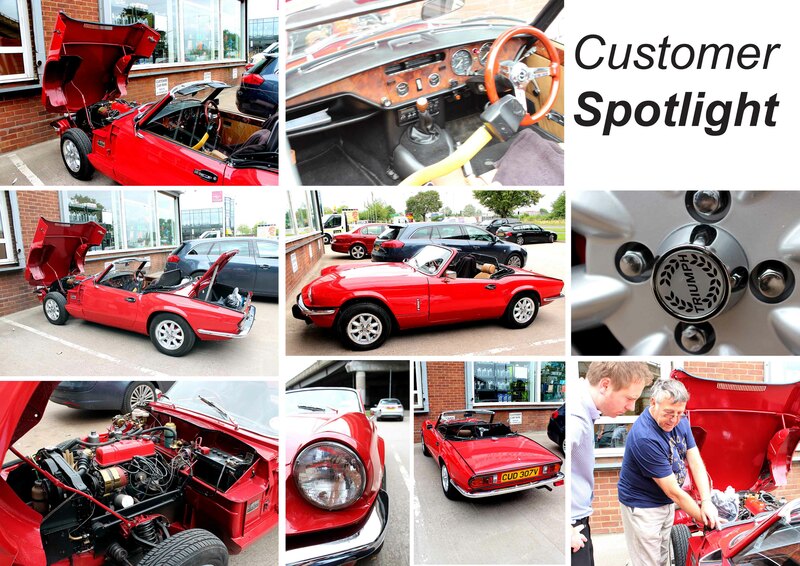 A delightful Triumph Spitfire at the David Manners Group this week. The owner took us on another tour of his restoration, and like the yellow Triumph Stag we had a few weeks ago, this red was equally as vibrant. Near completion, the owner just popped in to get a few parts from us. Over recent months, we have supplied him engine parts, interior parts, wheels and modifications. From new, this Triumph Spitfire has only 40,000 on the clock. To see our Triumph Spitfire Parts, please visit our website here. Plans to ease congestion on one of the Black Country’s busiest routes by building a ‘hamburger’ island have been welcomed. The Birchley Island in Oldbury is next to junction two of the M5 and is used by more than 92,000 motorists a day. The section of road has long been a known chokepoint in the region which has caused many delays to local companies. Sandwell Council’s initial proposals for a £13 million road improvement would see a road driven directly through the roundabout to ease congestion, making it a ‘hamburger’ island. David Manners, managing director of David Manners group, has been selling British car parts from his multi-million business on the Birchley Island for the last 23 years. 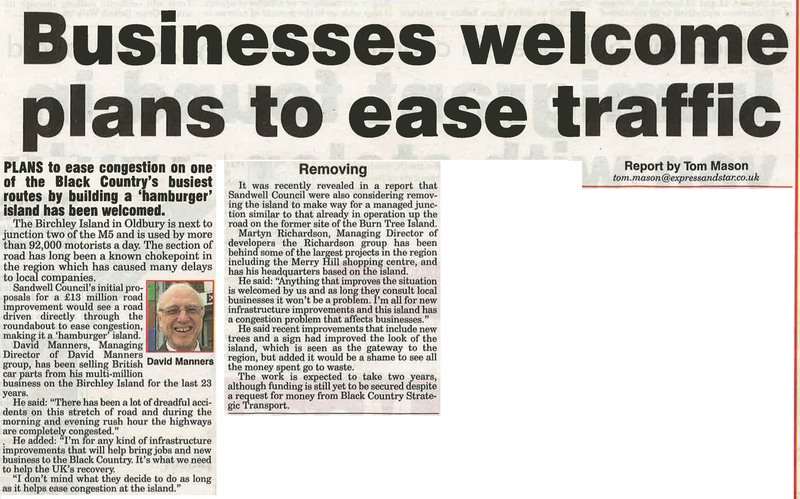 He added: “I’m for any kind of infrastructure improvements that will help bring jobs and new business to the Black Country. It’s what we need to help the UK’s recovery. It was recently revealed in a report that Sandwell Council were also considering removing the island to make way for a managed junction similar to that already in operation up the road on the former site of the Burn Tree Island. Martyn Richardson, Managing Director of developers the Richardson group has been behind some of the largest projects in the region including the Merry Hill shopping centre, and has his headquarters based on the island. He said recent improvements that include new trees and a sign had improved the look of the island, which is seen as the gateway to the region, but added it would be a shame to see all the money spent go to waste. The work is expected to take two years, although funding is still yet to be secured despite a request for money from Black Country Strategic Transport. 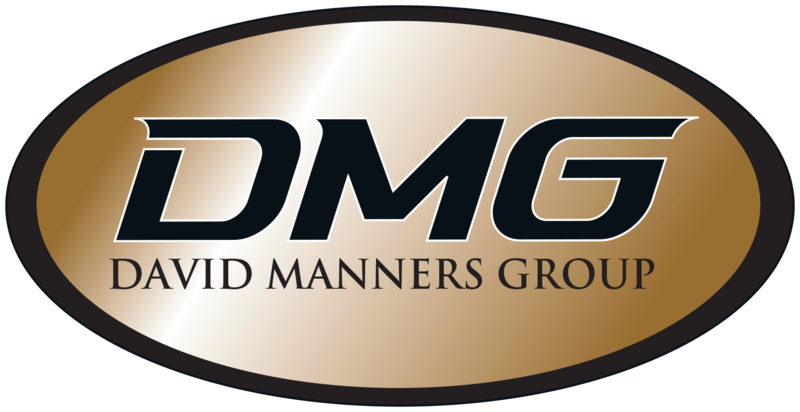 You can read the story on the Express & Star Website here, or visit our website here for more information on the David Manners Group. This stunning E-Type Jaguar 4.2 was one of the last E-Type’s sold in the UK according to its owner. Still boasting its original colour, it has been excellently well maintained for many years now and is still used on a regular basis (with over 80,000 Miles on the clock). The Jaguar E-Type has a bit of a reputation as a gas guzzler but it must be hard to resist not driving it whenever possible. In our experience, when an E-Type pulls up on our car park, passers-by and staff alike cannot resist taking a picture. On this occasion, the owner was just buying some service parts having spent the early part of the year updating the interior. 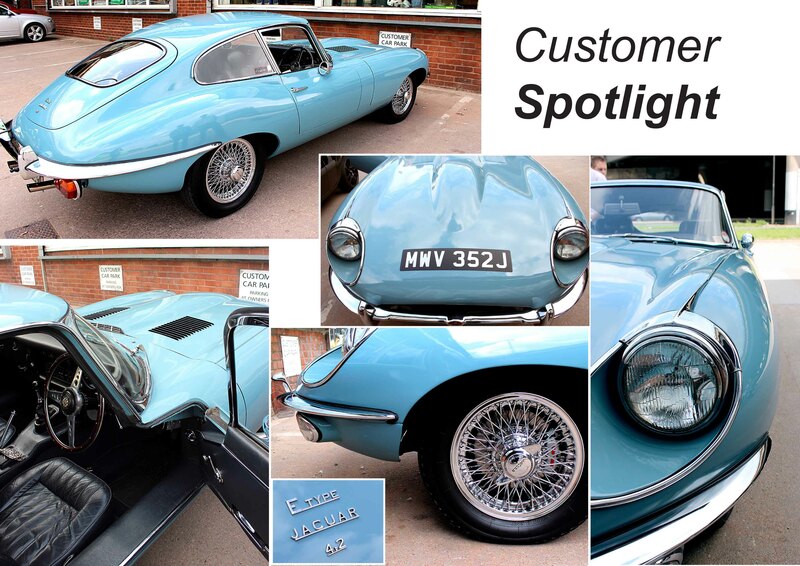 To browse our Jaguar E-Type Parts, please visit our website here. Thanks to Miriam Handley for sending us these pictures from the Mini Zipper Run last week. Miriam runs and organises the Mini Zipper Run, a Charity classic Mini fun run in aid of the Ann Conroy Trust was on 18th August 2013. You can check out their Facebook page here. The Mini Fun run will be held at Chasewater, Lichfield to Coventry Transport Museum, and you can turn up on the day. It is supporting the The Ann Conroy Trust. People with Chiari are fondly known as the the Zipper Heads after they go through decompression surgery, hence the name of our charity event. 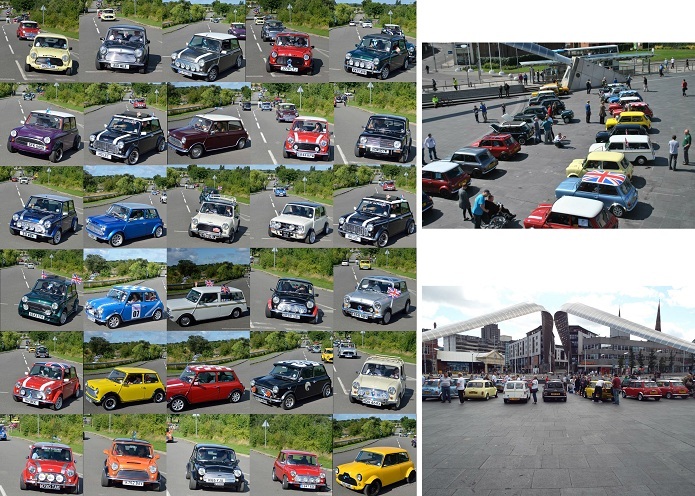 Mini Spares Midlands, part of the David Manners Group are proud to support the charity event. You can visit our Mini Parts website here. 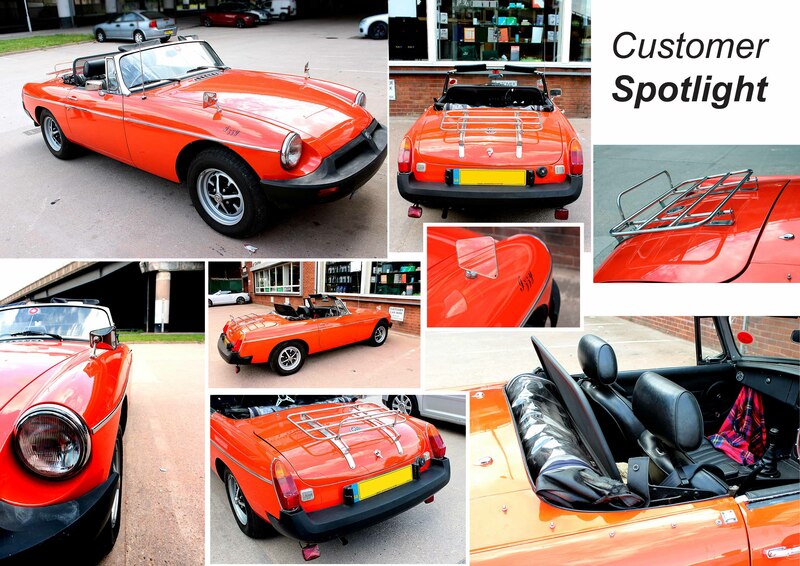 This fabulous MGB has been maintained over recent years with David Manners Group MGB parts. The owner informs me it has just over 30,000 Miles on the clock and according to a little research, it is one of the last MGB’s ever made. The registration is an ‘X’ plate and the MG enthusiast club estimate it could be one of the last few hundred made. True to its original form, Izzy’s owner has elected to keep the rubber bumper instead of opting for the chrome version. It’s nice to see its originality maintained. You can check out our MG parts site here. 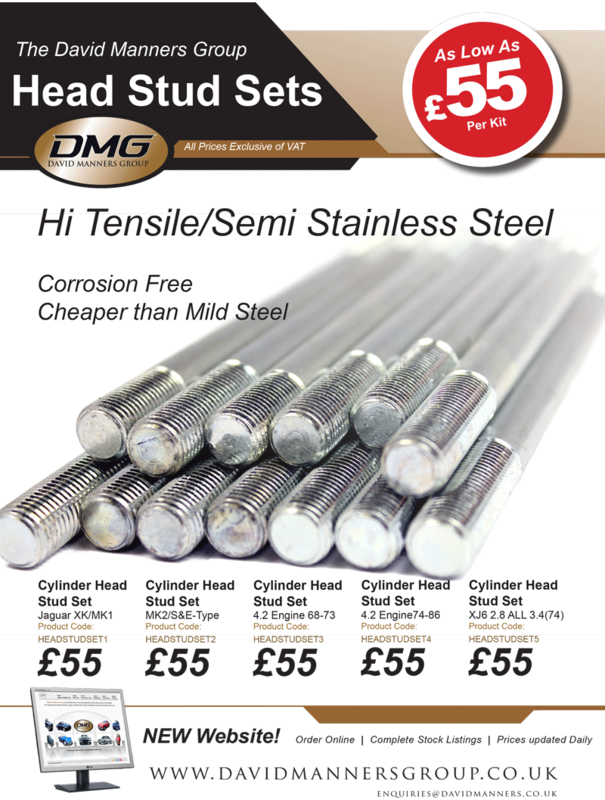 We now have a complete range of Head Stud Sets for Jaguar Cars. They are Hi Tensile/Semi Stainless Steel, offer a corrosion free durability and are cheaper than Mild Steel. Priced at £55 exc VAT, we expect to sell our first batch quickly. You can check these out on our website by clicking here. The Head Stud Sets are compatible for Jaguar S-Type, Jaguar E-Type, Jaguar MK2, Jaguar XK and Jaguar XJ6 Cars. *prices correct at the time of posting. Please refer to our website for the most up to date prices. 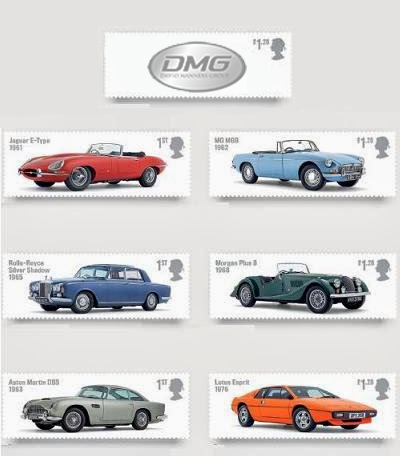 Have you seen the new Royal Mail stamps? 6 Classic British Cars including Jaguar E-Type & the MGB, 2 of the David Manners group’s favourites. Of course, we would have liked to have seen the Classic Mini, Morris Minor and Triumph represented, but definitely worth a look. Arguably the most beautiful car in history, the Jaguar E-Type’s stunning looks and 150mph performance created a worldwide sensation when it was launched at the Geneva Motor Show in March 1961. Blending sleek good looks with affordability, the MGB quickly became the world’s most popular roadster, leading to overall sales of more than 500,000 cars before its sad demise in 1980. Visit our website here to find Jaguar or MG Parts.